Despite the huge number of tablets to Android from numerous manufacturers, the leader in this market still remains Apple has a tablet iPad. According to the latest reports, the share of the Android tablet market is a whopping 68%, and iOS – 22%. The remaining 10% was able to capture Microsoft. However, research firm Strategy Analytics believes that by 2019 the number of tablets on Windows will almost double. If you believe the report Strategy Analytics, the comparison with the previous year supply Windows-tablets increased by 58%. 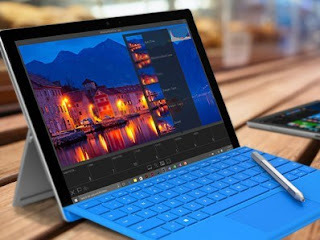 The company believes that by 2019, Microsoft will own 18% of the market of tablet computers. Analysts predict that these changes will occur due to a slight decrease in the popularity of devices on Android. The report also said that by 2019 the share of the Android tablet market is 58%, iOS – 23%, and Windows – 18%.